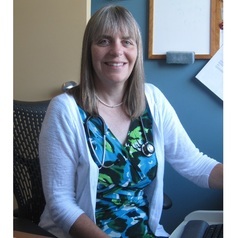 Dr. Gail Webber is a family physician and researcher based in Ottawa, Canada. She has more than 20 years of clinical experience in primary care, including prenatal and intra-partum obstetric care. She has a Master’s in Women’s Studies from the University of York, UK (1992) and a Ph.D. in Population Health from the University of Ottawa (2008). She is Assistant Professor of Family Medicine at the University of Ottawa and Associate Research Scientist at Bruyere Research Institute, Ottawa. In 2015 she was awarded a Pioneer in Family Medicine Research Award by the Canadian College of Family Physicians. She has received multiple research grants from Canadian Institutes of Health Research, Grand Challenges Canada, UK Aid and the Canadian International Development Research Centre. Her current research is in collaboration with her Tanzanian research colleague, Dr. Bwire Chirangi. The purpose of their implementation research is to improve women’s access to antenatal and delivery services in order to reduce maternal mortality in rural Tanzania.